Neteller is a high quality online e-wallet, offering the perfect services for customers alongside with speedy and safely money transferring. 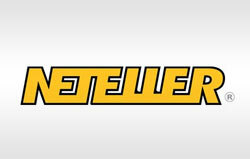 Founded in 1999, Neteller has its headquarters in the UK and the Isle of Man. The company is highly reputable and trusted among many clients. The secret of the success is big experience in financial transactions of various kinds. Neteller provides its users with safe and secure transactions by applying the latest and the most sophisticated software for innovative security technologies. Neteller is a great opportunity to manage your money easily and safely alongside with the possibility to successful funding online casinos, sport betting sites and poker rooms. This type of the online account is the easiest to open and it is possible to provide transactions via it in many currencies. In addition to this, it has a depositing limit in 2500 Euro. This account gives its owner an opportunity to make higher deposits, as it has higher limits. Neteller is safe and dependable e-wallet ensuring safe money transactions when making online shopping or gambling online. Attractive and pleasant bonuses for clients. Even such great payment option has its weak points. For example, Neteller is not available to the US residents as well as for Canadians. Another disadvantage is that Neteller pre-paid card will charge 4$ fee when using in ATM.